Negril Jamaica Honeymoon offers luxury, privacy and beauty, and that is just a few of the things you can expect. Who would not want a perfect honeymoon to denote the start of marital bliss? If you are still thinking about the perfect honeymoon destination, look no further than Negril beach Jamaica. Jamaica has always been a perfect destination owing to its reggae music, beautiful turquoise calm waters, seven miles of palms and pristine sand and unlimited adventures. The diverse geographical terrain of Negril with beaches marking one side and cliffs the other, it is the right destination for couples with multitude of interests. You will enjoy the coastal backdrop and the serene mountains as the the best place for your honeymoon trip. Or you may spend your day in leisure, relaxing by the beautiful turquoise sea getting your tan on. 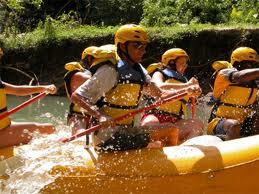 Jamaica offers many adventurous activities for you the honeymooning couple to choose from. You can look at the beautiful coral reefs by going scuba diving and snorkeling very close to the shores of Negril. The swamp areas and the wildlife species of the Royal Palm Reserve will keep you busy throughout the day. Or enjoy a one day trip to the Booby Cay Island that will free you from stress and kindle your senses. If white water rafting and hiking are activities that interest you, then take a trip to the Negril River or the mountains of Negril to enjoy with your significant other. Then the farmlands and the mountains surround the town is a pleasure to see while hiking. After a tiring day of activities you can indulge yourself in a soothing massage at your hotel spa. To experience a Jamaican spa is to receive one of the best spa treatment in the world and is guaranteed to leave you spell-bound. 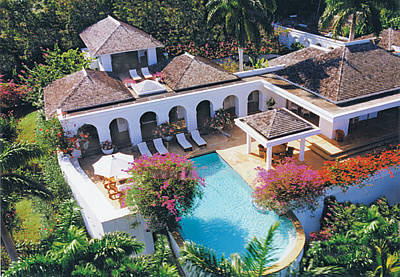 A private villa situated in a calm and beautiful location in Negril is a good option for a honeymoon. Private villas offers added advantage of extended privacy and luxury during your stay. Jamaica has wide options of villas and honeymoon suites that you can pre-book before your travel to avoid last minute hassles. Make your Negril Jamaica honeymoon memories last a lifetime with a trip to Negril, Jamaica and enjoy the beauty of nature with your special one.